Luxembourg National day is coming up on the 23rd June, so it’s time for a Luxembourg-themed giveaway! 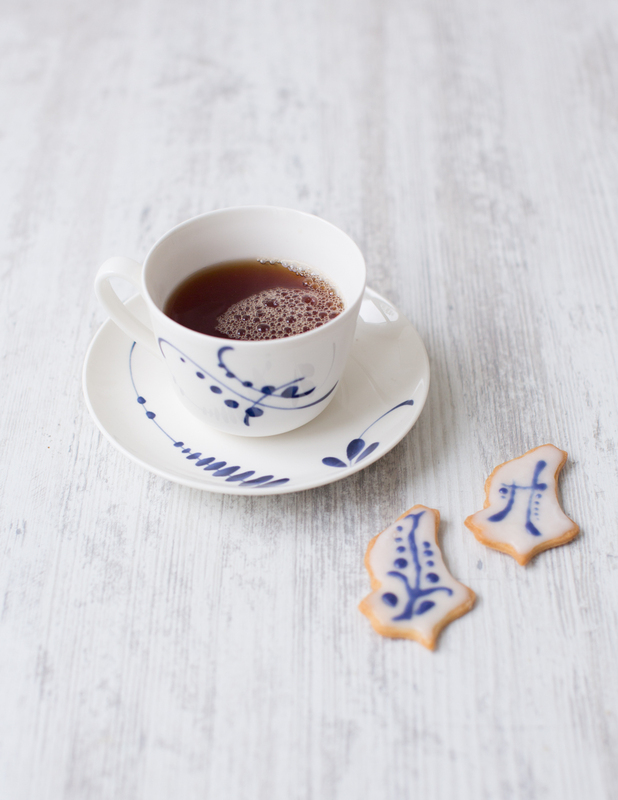 I’ve teamed up with Villeroy & Boch to give away an amazing gift package, which 2 lucky people in Luxembourg will be able to win! 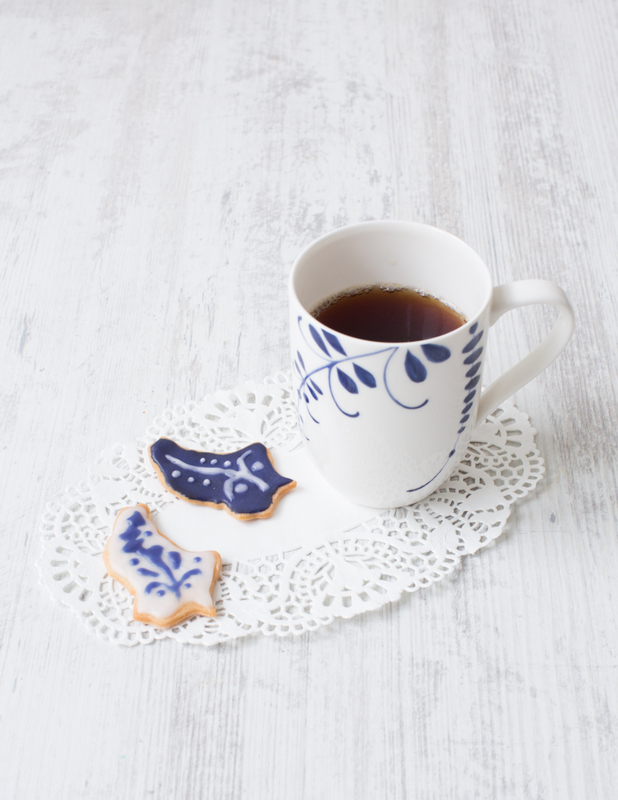 To honour the new Brindille Vieux Luxembourg collection, I’ve made cookies with my Luxembourg cookie cutter with a white and blue icing mirroring the collection’s iconic Brindille design. If you want to make this at home, you can use this recipe. 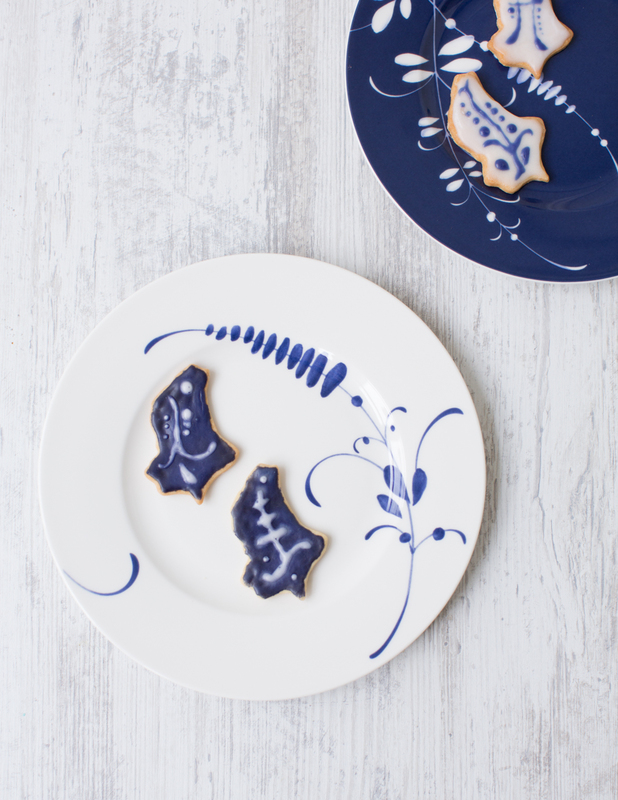 Once the cookies are cold, make the two icings and paint each cookie with a single colour base (this is best done with a fine cookie decorating brush). 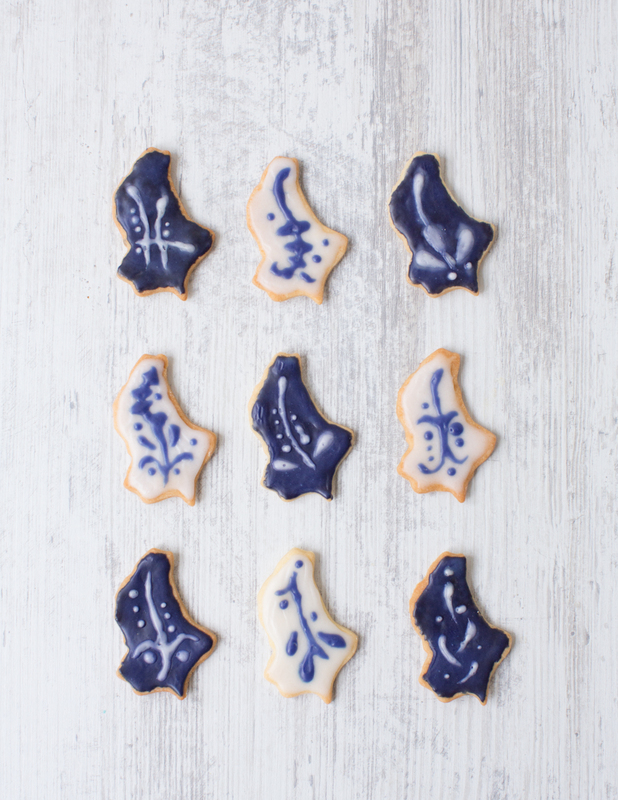 Leave the iced cookies to set overnight. Cover the surface of any leftover icing with cling film and keep in the fridge until the next day. The next day, unwrap the remaining icing, add a dash of water and stir until smooth again (if you have no leftover icing, simply make a new batch). 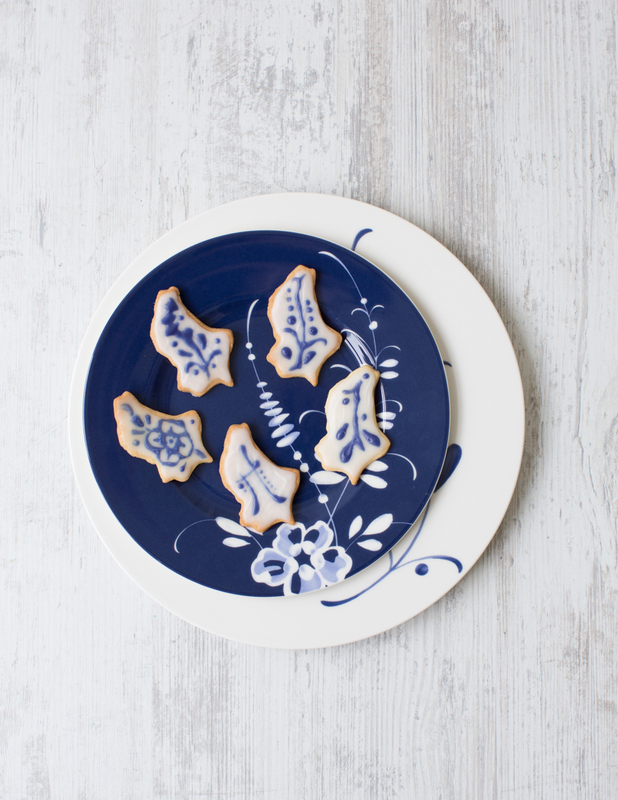 Using a fine cookie decorating brush or a toothpick to draw the design onto the cookies. Leave to set overnight and serve the next day. The finished iced cookies are best served on the third day, as the icing tends to go blurry if kept any longer. 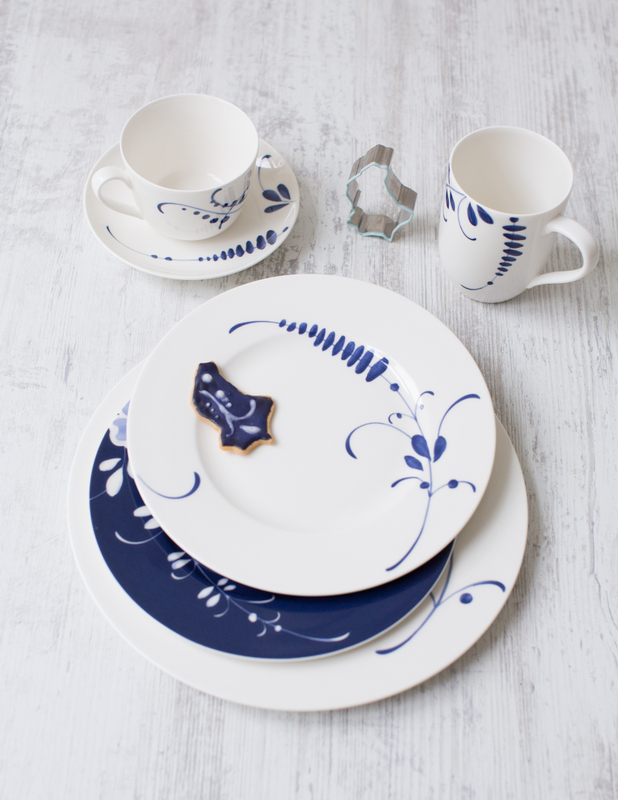 So, if you want to serve your Luxembourg cookies on this beautiful crockery, enter my giveaway: The package includes 1 Brindille Vieux Luxembourg coffee mug, 1 Brindille Vieux Luxembourg tea cup with plate, 1 Vieux Luxembourg Brindille blue breakfast plate, 1 Brindille Vieux Luxembourg white breakfast plate, 1 Brindille Vieux Luxembourg dinner plate and 1 Luxembourg-shaped cookie cutter. 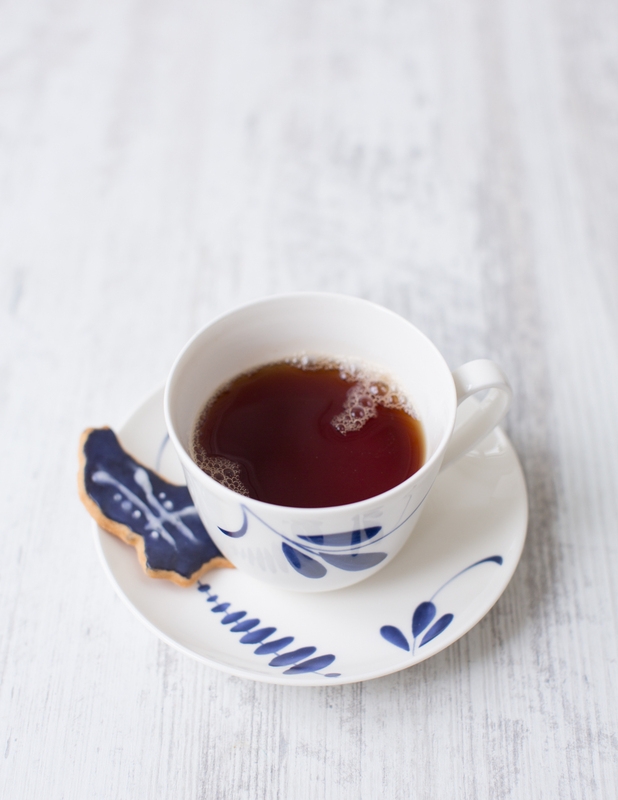 Comment on the giveway post on Facebook and tell me what’s your favourite recipe of mine – preferably something with a Luxembourgish twist or a recipe from my Home Sweet Home book! The competition runs until midnight the the 22nd of June, and I’ll announce the 2 winners on June 23rd. THE RULES : Only one comment per person unless qualifying for additional entries. People commenting more than once are immediately disqualified from the giveaway. This giveaway ends at 11:59pm GMT on Friday, June 22nd, 2018. Only open to Luxembourg Residents. Two winners will be selected by random.org and will have 48 hours to respond to my notification email before another winner is selected. Good luck! Disclaimer: This post has been sponsored by Villeroy & Boch.